A second Spartacist uprising has erupted in Berlin and Ebert‘s government has once more called on the services of the Freikorps, paramilitary volunteers who like nothing more than having a go at socialist malcontents. They have successfully cleared the Spartacists and their supporters from central Berlin, after which the rebels retreated to the working class neighbourhood of Lichtenberg, preparing to make a last stand. 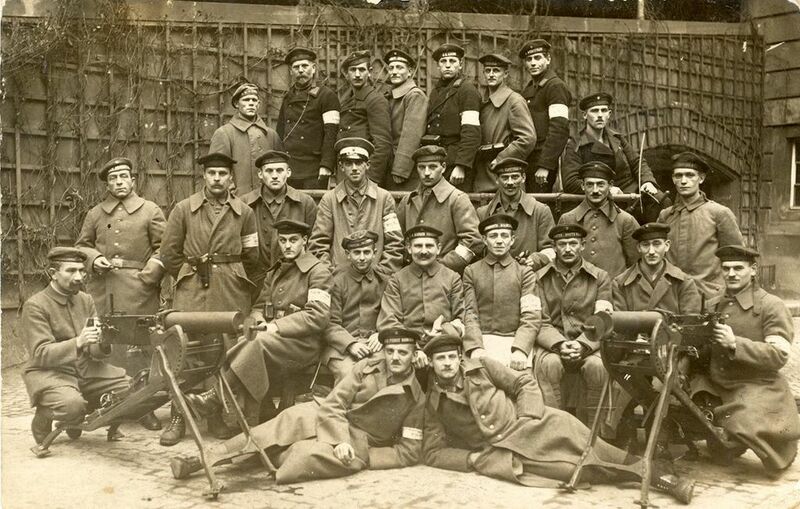 As the Spartacists consolidate in Lichtenberg, a local police station is stormed and a number of policemen killed. This incenses respectable opinion. Noske, the war minister, orders that anyone bearing arms against the government is to be shot on sight. The Freikorps are happy to oblige. Today they complete the pacification of Lichtenberg, crushing the Spartacists and violently suppressing the People’s Naval Division. The Berlin Workers’ Council is also closed down. Calm returns to Berlin’s streets, but the cost is high, with over a thousand killed (including a handful of Freikorps members), perhaps as many as 1,500, and many more wounded. The recent Spartacist uprising in Berlin was violently suppressed. Since then a certain calm has descended on Germany’s capital, with Lettow-Vorbeck (recently returned from Africa) even being treated to a parade through the city. But the calm is deceptive. Discontent still haunts the working class areas of the city, where life is still hard and the gains of peace and the transition to democracy are slow to materialise. And despite their recent defeat, the Spartacists retain considerable influence in these quarters. 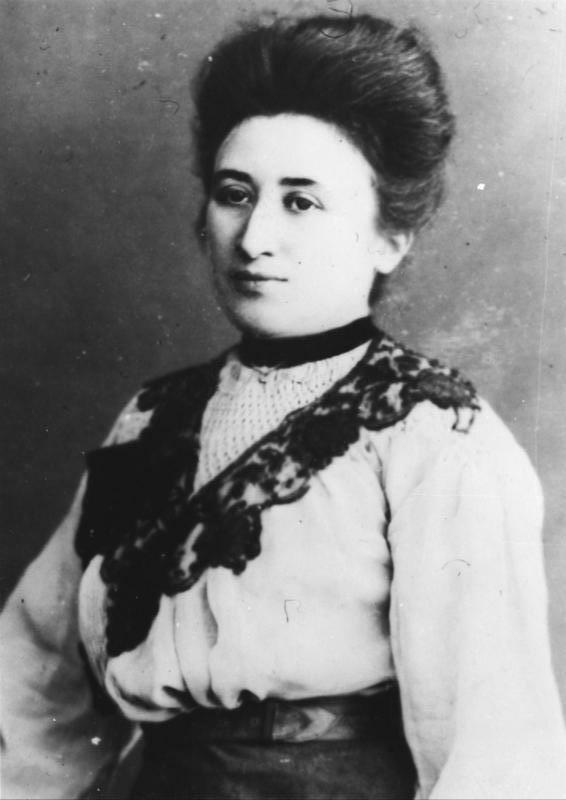 Spartacist leaders Liebknecht and Luxemburg were murdered after the recent failed uprising, but the party’s organisation remains intact. Spartacist leaders now decide to call a general strike in the city, demanding formal recognition of workers’ councils, the release of political prisoners and the disbandment of the Freikorps militias. The strike soon assumes the character of another uprising against the government. Noske, the war minister, takes a characteristically hard line, sending the Freikorps back into Berlin to restore order. But the task proves tougher initially than in January, with the radical sailors of the People’s Naval Division choosing this time to join the fight against the Freikorps. Bloody street fighting erupts and the rebels besiege the city’s police headquarters. Today though the Freikorps manage to restore order in central Berlin, clearing Spartacist strongpoints from the city centre. Eventually, with the aid of a tank and air strikes they storm the former royal police in which the People’s Naval Division had based themselves. But the fighting is not yet over. The Spartacists and their allies withdraw to the working class neighbourhood of Lichtenberg. Here they erect barricades and prepare for the final showdown with the Freikorps. 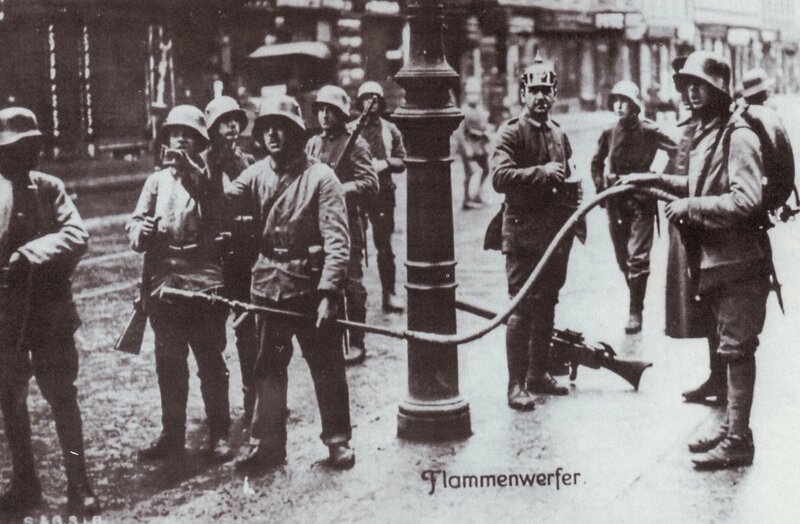 The paramilitary Freikorps have crushed the Spartacist revolt that had threatened Ebert‘s government. Karl Liebknecht and Rosa Luxemburg went into hiding, as did other Spartacist leaders. Today Liebknecht and Luxemburg are captured by a Freikorps unit. Under the direction of Captain Waldemar Pabst, the two are interrogated and tortured. Both are clubbed in the face with rifle butts before Pabst orders them shot. 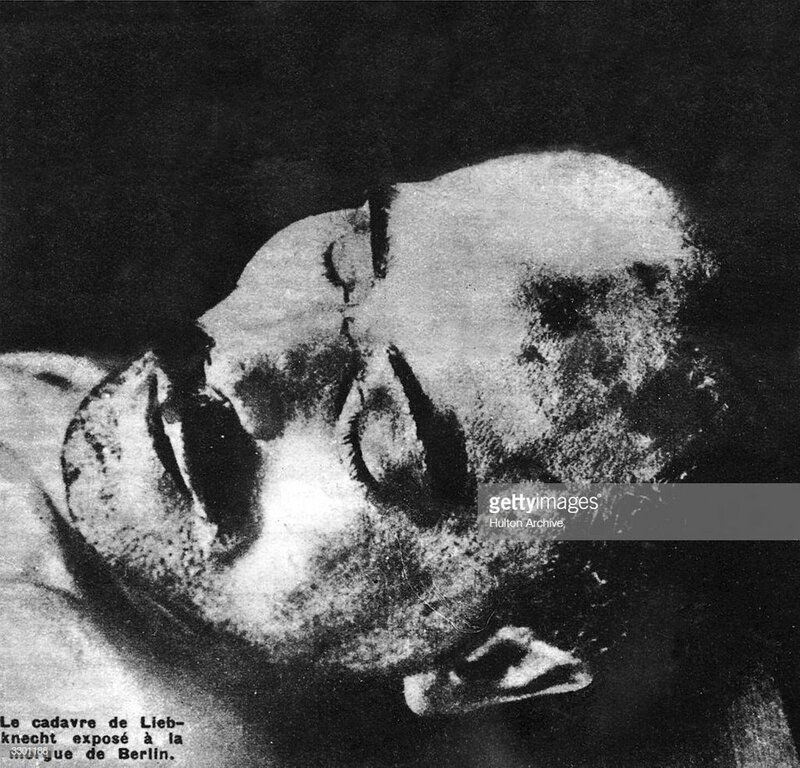 Luxemburg’s body is dumped in a canal while Liebknecht is deposited in a morgue with other unidentified corpses. Street fighting has erupted in Berlin between supporters of Ebert‘s Social Democrat government and the Spartacists, who wish to reorganise Germany on the model of Soviet Russia. The Spartacists have occupied buildings in central Berlin and their supporters are staging strikes and demonstrations. The Spartacists’ efforts are curiously ineffectual, hovering between demonstration and insurrection, with their various cadres operating without much coordination. The Spartacists also appear not to be making any direct attempt to seize Ebert’s government and remove him from power, perhaps hoping that he will simply go away. They have been unsuccessful in their attempts to persuade army units to join them; soldiers are largely opting to remain neutral, with even the radical marines of the People’s Naval Division staying out of the conflict. And across Germany workers are largely failing to rally to their cause. Nevertheless, Ebert fears that without a decisive response his government will fall and Germany go the way of Russia. He has therefore resolved that the Spartacists must be crushed. The army proved unreliable in the Christmas Eve clashes with the People’s Naval Division, so Ebert is wary of relying on it to suppress the Spartacists. Instead he instructs Noske, his war minister, to make use of the Freikorps, paramilitary militia units of demobilised army veterans, many of whom have brought their weapons with them into civilian life. Many members of the Freikorps hold political views that could be characterised as reactionary; they are only too happy to have a crack at the socialist Spartacists. The Freikorps march into Berlin today and soon overwhelm the Spartacists, clearing their street barricades and evicting them from occupied buildings. Order is restored to Berlin, but at some cost: 200 people die in the fighting, some of them Spartacists shot while trying to surrender, others civilians killed in the crossfire. 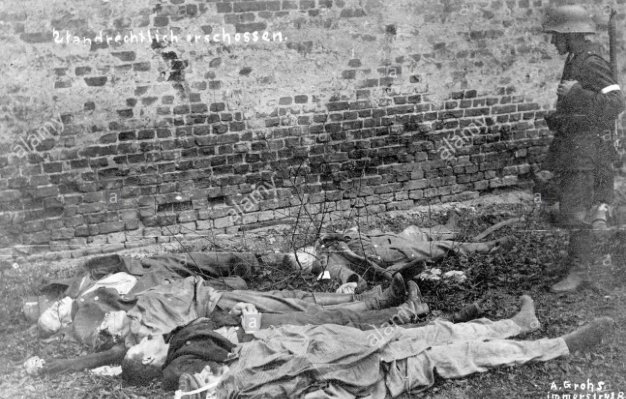 A very small number of Freikorps members are also killed. Karl Liebknecht, Rosa Luxemburg and other Spartacist leaders go into hiding while Noske leads a victory parade through the city. Patrick Chovanec‘s Twitter account is worth following. You’ll come for the interesting nuggets of historical detail from a 100 years ago and stay for the insight into the current thinking of anti-Trump conservatives. 6/1/1919 The Spartacists revolt: an October Revolution for Germany? Germany’s Social Democrats (the SPD), led by Chancellor Ebert, want Germany to develop on a progressive and reformist path, but to their left the Spartacists of Liebknecht and Luxemburg want a second German revolution, akin to the October Revolution in Russia. The Independent Social Democrats (the USPD) hover in between, more radical than Ebert but not as fulsome in their support of Bolshevism as the Spartacists. On Christmas Eve Ebert attempted to suppress the People’s Naval Division, a unit of radical marines that had established itself in a former royal palace. The attempt failed, partly because the army proved unreliable in its support for Ebert’s crackdown. Nevertheless, the USPD left the governing coalition in protest at Ebert’s action, leaving the SPD alone in government. To the Spartacists, it begins to look as though one push might overthrow Ebert, much as Lenin‘s coup removed Kerensky‘s provisional government. They call for mass demonstrations in Berlin, which take place today. Many of the Spartacists’ supporters are armed and they occupy buildings around the city, including the offices of the SPD’s newspaper. More demonstrations are called for the coming days and Spartacist agitators call for soldiers in the city to desert Ebert’s government. Are the Spartacists about to seize power? So their supporters hope, but Ebert is determined not to be Germany’s Kerensky. Together with Gustav Noske, his war minister, he prepares to strike back. It is Christmas Eve. Across Europe people are preparing for the season of goodwill to all men. But not in Berlin, where rival groups of men are today trading gunshots. The German revolution first stopped the German navy from launching a suicidal attack on the British fleet, before overthrowing the Kaiser and hastening the end of the war. Now Friedrich Ebert leads a coalition government of his own Social Democrats (the SPD) and the slightly more radical Independent Social Democrats (the USPD). Preparations are underway for fully democratic elections to be held early next year. No one really knows whether the German revolution is now essentially over, with the future being one of gradual reforms improving the lives of the SPD’s working class supporters, or if this is just a transitional phase akin to the rule of Kerensky‘s Provisional Government in Russia. Karl Liebknecht and Rosa Luxemburg of the Spartacist League hope that Ebert’s government will soon be replaced by a government based on workers’ councils, as supposedly is the case in Soviet Russia. Ebert meanwhile fears that any sign of unrest has been whipped up the Spartacists as a prelude to a coup attempt by them. The Volksmarinedivision (People’s Navy Division) is a unit of revolutionary marines that were stationed in Berlin in the early days of the revolution, currently billeted in the former royal palace. Now a dispute has arisen between them and the commander of the city garrison, Otto Wels. Wels held back the marines’ pay; in return they have now mutinied, abducting him and roughing him up. Ebert fears that the marines are preparing to spearhead a Spartacist putsch. He may also be coming under pressure from Groener, the army’s quartermaster-general, to do something about the unruly marines. So he orders regular troops to attack the palace and suppress the marines. The assault on the palace begins with an artillery bombardment and then a fire fight erupts between the two sides. However the attack turns into something of a fiasco. The marines easily repel the army’s assault. They find themselves being assisted by armed civilians and members of the police force. There are even reports of soldiers switching sides and joining the Volksmarinedivision. At the end of the day Ebert’s attempt to crush the marines has proved an embarrassing failure. His coalition partners in the USPD meanwhile are furious, as he launched the attack without consulting them. But the Volksmarinedivision makes no move to overthrow Ebert’s government; perhaps they are not actually in league with the Spartacists after all? As per the terms of the armistice, German forces have now withdrawn from all the French and Belgian territory they occupied at the start of the war; Luxembourg‘s independence has also been restored. 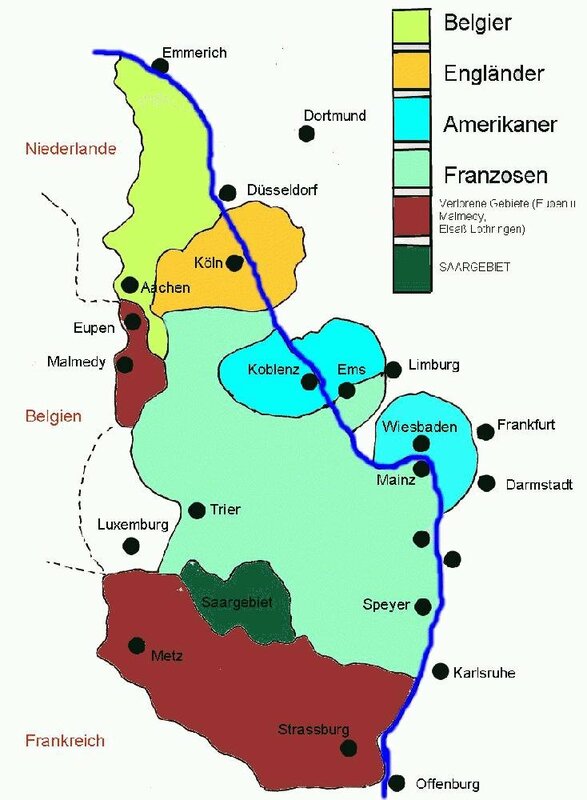 Now Allied forces are moving into western Germany, occupying the Rhineland and preparing to establish bridgeheads across the river. Any German soldier who has fought this year on the Western Front knows that the German army has been defeated by the Allies, who first contained Ludendorff‘s spring offensives and then broke the Germans’ ability to resist in the hundred days of offensives that preceded the armistice. Ebert knows this too, but he has his reasons for indulging the army’s pride. He fears that the fragile new republic is under threat from leftist extremists like Karl Liebknecht and Rosa Luxemburg and from reactionary elements who want to establish a conservative dictatorship. If flattery is the price of the army’s support for his government, then so be it.